Normally Kozhukattai is prepared with Rice flour. 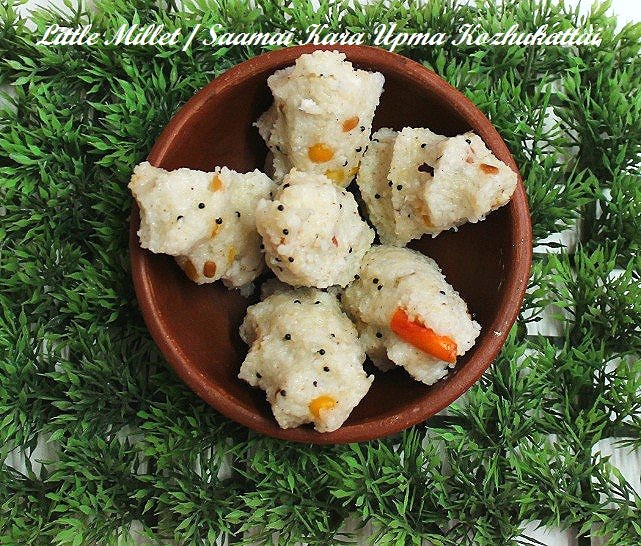 I wanted to try it with Samai Millet / Little Millet and see whether there is any difference in quality. Fortunately, There is not much difference is quality and it had come out really well. The taste is unique and kids loved it. 1. Wash the little millet and keep it aside. No need to soak it in water. 2. Wash the ginger and grate it using the grater or cut it into very small pieces. 3. Wash and cut the green chillies into two halves. 4. Heat the oil in a heavy bottomed pan, add mustard seeds and wait for popping. Ad urad dal and Bengal gram dal, fry for a minute. 5. Then add the green chillies, grated ginger and curry leaves. Saute for a min. 6. Add 1 ¼ cup of water and bring it into boil. Now add the washed little millet into that boiling water. Keep the flame at simmer. 7. Add salt and mix them well. Close the lid of the pan. Stir occasionally and cook till the mixture becomes thick and does not stick the sides of the pan. 8. Switch off the flame and add grated coconut. Mix them well and transfer the upma into a plate. Allow it to cool down. You should not cool down completely. It should be little bit warm. Then only you can make balls. 9. 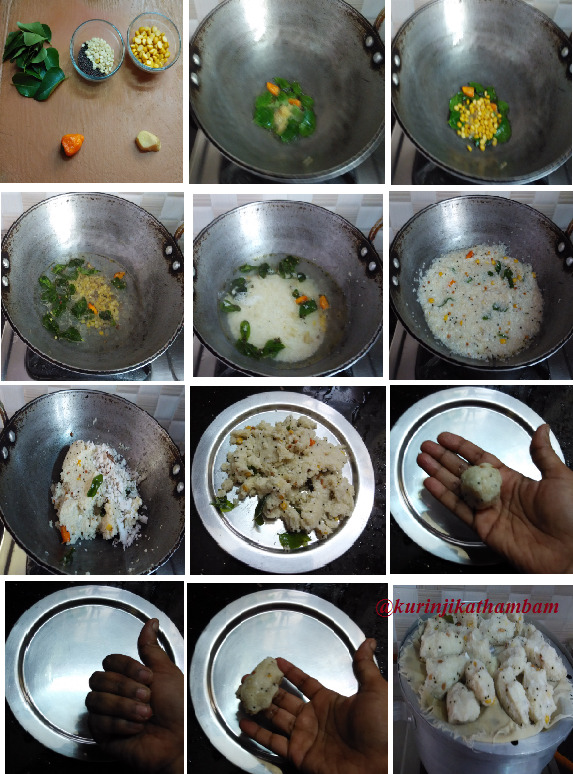 Make lemon size balls from the upma. Hold the ball in your hand and tightly close your fingers to make kozhukattai shape. See the video for make kozhukattai shape. 10. Make all kozhukattai’s and steam cook them for 12 mins. Yummy and delicious is ready to serve with coconut chutney or coriander coconut chutney.